Are bugs keeping you inside and away from enjoying the great outdoors? Heartlands Building Company is proud to provide the same great quality products we put in our custom screen rooms directly to you or your contractor on an installed or non-installed basis. Heartlands’ patent pending screen room system integrates a fully tested guard rail and related connections. It meets the most stringent building code requirements for fall protection. This screen system goes beyond the competitors’ roll formed economical 1” by 1” pre-finished tube. While factories commercially sell the 1” by 1” rolled formed tube and Heartlands uses it on rare occasion, our standard is extruded aluminum channels. We make sure to custom finish the columns to your color selection on a project-by-project basis. We learned early on that the factory paint finish acceptable to our competitors did not meet our quality standards. It was also not what our customers truly wanted. In many cases, factories did not even have the necessary color choices. The stronger system―powder coated paint finished job by job, flat vs. round spline, and our standard and more durable “pool and patio” screen mesh―supports that Heartlands clearly provides the best. Heartlands offers an option for a picket rail system, integrated and built in to our extruded upper and lower screen railing components. We install the round pickets on 4” centers to building code standards and at your desired height. An integrated rail system is usually more economical than a separate railing system when it comes to new construction. In addition, the integrated system provides a clean, finished look. Available in hundreds of colors, it allows you to choose the shade that blends seamlessly with the rest of your project. 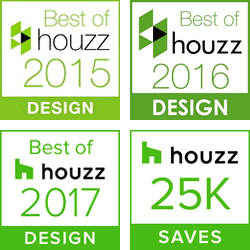 Unlike the competition, Heartlands provides extruded aluminum pickets vs. the competitors’ lower-cost rolled and bent pickets. We encourage you to compare! Compare Heartlands’ quality to the competition. For more examples of our screen rooms, visit our photo gallery. Heartlands works closely with homeowners, architects, builders, and contractors to design a screen enclosure that fits the customer’s needs. We take everything into consideration―their exposure to the sun, privacy requirements, and security issues. Designs include arched tops, brick columns, recessed areas for screen channels, or individual screen sections more than 20’ wide, and more―we have done it all. In addition, we introduced retractable screen systems for outdoor living areas back when the competition said it could not be done! Today, they are trying to catch up. 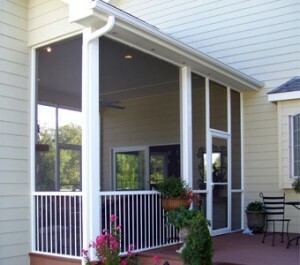 If your budget allows, we encourage you to consider a fully retractable screen room. 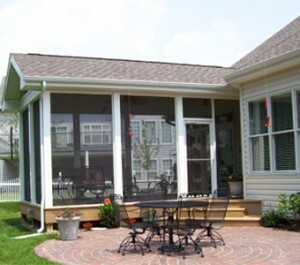 Heartlands has designed and installed retractable screen rooms on many of the finest homes in the St. Louis area. We have also been contracted to provide design, product, and installation support for projects in Arkansas, Illinois, Kansas, Missouri, Oklahoma, and Tennessee. We install―building each system on-site―in a manner to minimize disruption to you and other subcontractors, if any. At Heartlands, we utilize our manufacturing facility to stage and prepare each screen room for installation. Our competitors fabricate their panels in their factory and make them fit at your home with additional receiving channels and hundreds of exposed screws. We, however, service the homeowner and high-end contractors who appreciate our on-site custom framing to exact sizes. In addition, we design our screen systems to limit the number of exposed screws and brackets. We powder coat any visible screws and fasteners to the same finish as your room. We are NOT a factory operation―we prepare and install one project at a time. Enjoy the benefits of working with The Screen Team®.